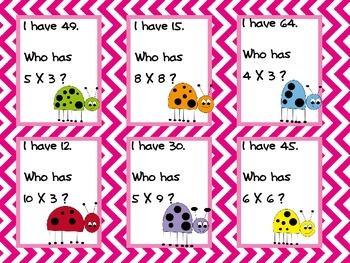 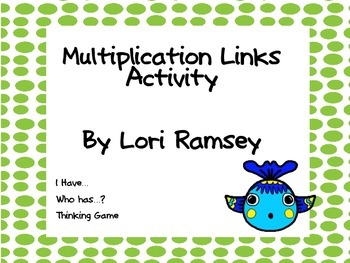 This activity contains 2 sets of Multiplication Links cards to use as a game to practice multiplication facts as a whole class or as a small group. 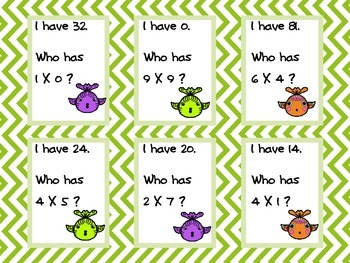 Students read "I have... who has" cards" in a round to answer the "How has" part of each card... 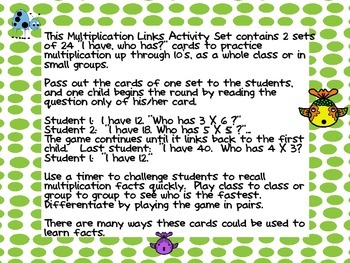 The students love to see how fast they can recall the facts and get through the links.